Have you ever read through real estate listings and noticed multiple descriptions for a "luxury home"? Have you then asked yourself, what makes this a luxury home? Is it determined by price, location, square footage, or some magic combination of all of the above? It is never just one of those key areas, it's more like a combination of all. A common denominator of luxury homes is that they have certain features in common. "I like to tell my clients that "Luxury" has a different meaning to different people. Some love a remote location with a water view. Others want the energy of the city, which may be a smaller space. 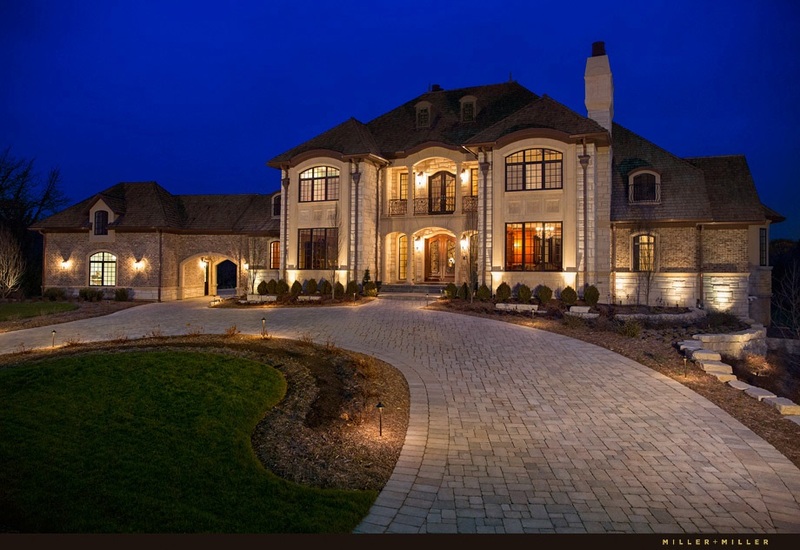 Rather than immediately getting excited over a listing with the term luxury, have an eye for the features you're keen to have in a home to find one that you will love," says Hugo Araujo, Luxury Homes of Chicago. Some neighborhoods see homes for a million dollars and they don't look like much. For example, the Los Angeles area has a significantly higher top end of the market and a higher cutoff point for buyers to afford these properties compared to smaller markets like Oklahoma City. That being said, the lowest price you can expect to pay for a luxury home starts anywhere from $500,000 to $3 million, and goes up from there. No matter the city, state, or country, luxury homes are the ones with the most coveted locations, whether they're atop a mountain, right on the beach, or overlooking the sparkling lights of the city far below. Many high-end buyers—particularly celebrities who get accosted by paparazzi and fans when out in public—like their home to be a true refuge. Unless you are making a purchase in Manhattan. We told you, an exception to every rule! We can visualize it right now. The high end kitchen, gorgeous bathrooms, amazing flooring. The construction materials, finishes, appliances, and design all must be a cut above what's considered standard. Back in the day, it was a luxury home if it had electricity and hot running water or an indoor bathroom! Today, luxury homes are smart homes and allow the home owner to monitor or control: temperature, lights, security, and so much more. Higher-end homes now seamlessly integrate appliances with security systems and other electronics, which can all be controlled remotely and connected wirelessly. The more sophisticated the integration or activation (voice controlled, for example), the more “luxurious” a home is said to be. Imagine being able to check and control every aspect of your residence – even when you’re off visiting or doing business on the other side of the world! "But never forget, home is where the heart is!" says Hugo.